The CoaguChek XS PT test strips are part of the CoaguChek XS System. The CoaguChek XS System measures blood-clotting time for people who are taking anticoagulation medications such as Coumadin or warfarin. The CoaguChek XS System uses blood from a finger stick. The system is intended for properly selected and suitably trained users or other order of the treating doctor. 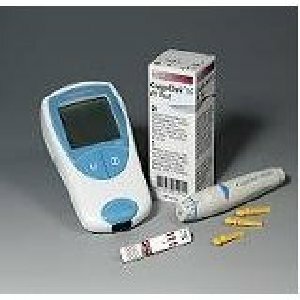 Users should be stabilized on anti coagulation medications such as Coumadin or Warfarin prior to self-testing with the CoaguChek XS System.